We are proud to be Shelbyville's only Certified Auto Repair center. This means that we offer a 12 month or 12,000 mile NATIONWIDE warranty on most repairs. Our commitment to quality service has earned us consistent high marks in customer satisfaction. Damron Auto Repair is dedicated to keeping you safe on the road. 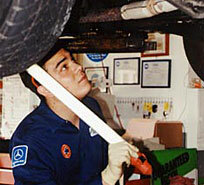 Our experienced technicians will keep your vehicle running in top condition. We use the latest automotive diagnostic technology to provide you with high quality service, and quick turnaround. We even go the extra mile on parts. We will shop around for you to get you the best part at the best price. Plus we never charge list price on aftermarket parts like some places. We are a small shop with out a lot of the fancy decor but our focus is on repairing your car correctly and keeping you safe on the road. Your satisfaction is our highest priority! You won't find a better level of service anywhere in the area! Content copyright . 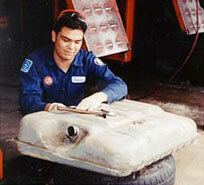 Damron Automotive Repair. All rights reserved.